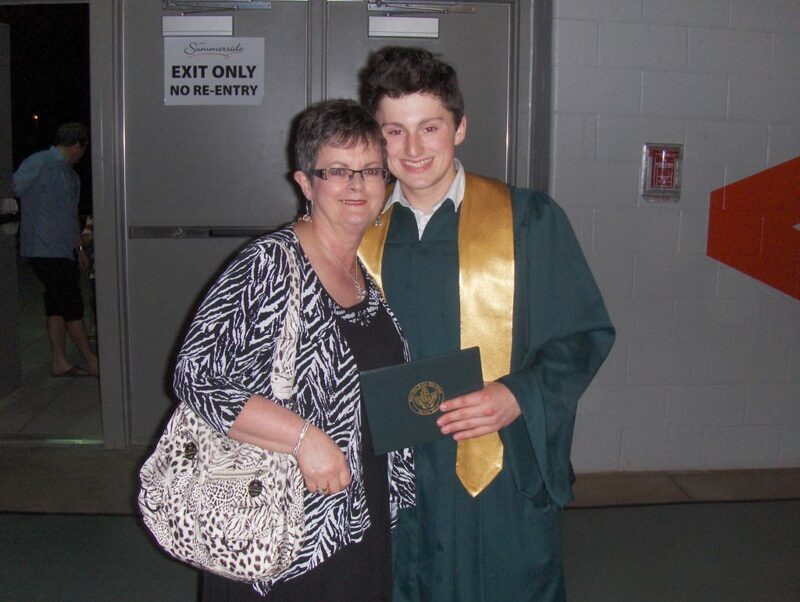 We had the pleasure of interviewing Doreen Mulligan this month and she shared a heartwarming story about supporting her grandchildren with help funding their university fees. HigherEdPoints: So tell me more about your grandkids! They sound fantastic. Doreen: Well my grandson Drake started a two-year program, but partway through found it wasn’t for him so he took a year off to work and re-evaluate what he wanted to do. This year he went back to do human services and has just finished his On-the-Job Training (OJT). Now he’s got a full-time position working alongside people with disabilities. He’s really found his niche in this and is loving the work. Then there’s my granddaughter Isabella. She’s at the University of New Brunswick doing a science degree. She started off with a general course load but now has really focused on psychology. They are both really grateful kids, they appreciate everything you do for them. HigherEdPoints: You mentioned supporting them through HigherEdPoints.com, how did you find out about it? Doreen: Well, back in the summer of 2014 I was watching local news and they covered a story about Holland College bringing in the HigherEdPoints program. The opportunity to pay tuition with Aeroplan points was incredible and so I had to take advantage of it. My husband and I don’t travel much anymore, so we had all these extra points to contribute. Additionally, their dad was able to contribute a lot of points because he works for an aerospace company down in South Africa. 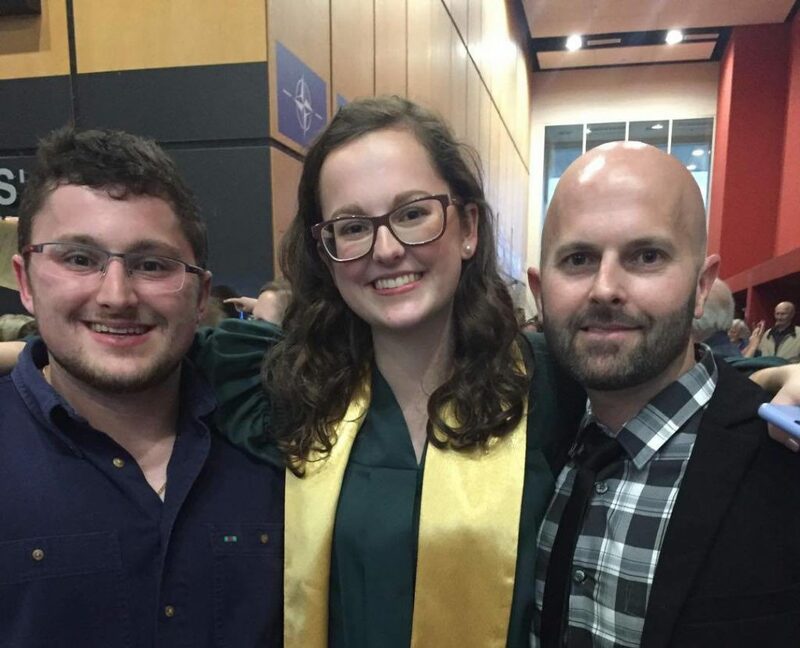 Drake and Isabella with their dad at Isabella’s high school graduation. HigherEdPoints: How were you able to collect so many Aeroplan Miles? Doreen: It’s really simple actually, we’ve had a CIBC Aeroplan Visa that we use to pay for everything from groceries to bills. This gets us quite a few points, especially with gas, grocery, and drugstores getting 1.5 miles per dollar. HigherEdPoints: It sounds like you’re very close to your grandkids. Doreen: These kids are so important to us, their dad moved down to South Africa in 2007 and we kind of became a second home for them. We’d head out to all their sports, cheering them on and being supportive. Drake played hockey, soccer and rugby growing up and Isabella played many intramural sports. HigherEdPoints: Do you have any final thoughts you’d like to share? Doreen: University is so expensive these days that it takes a lot to get there. Isabella had many scholarship and bursaries [going in to first year] that helped but she won’t have those going forward. It’s helpful to have those other options, even if it’s just $500-$1000 per year.